Delhi Man Buys Car, Gives Newspaper Ad Asking For Congratulations. Everyone's Wishing Him Now! 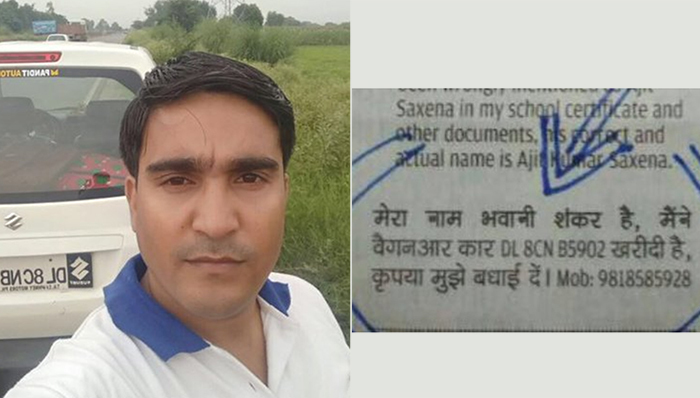 Delhi Man Buys Car, Gives Newspaper Ad Asking For Congratulations. Everyone’s Wishing Him Now! Twitter is a mysterious land of even mysterious creatures. It is a land of patrons who spend their days and nights spreading ‘re-tweet worthy’ stuff. But apart from the meme-making business, the Twitterverse is also home to a whole lot of other stuff. But what if I tell you, it also houses compassion and goodness? Hard to believe? Don’t worry, for I come bearing proof. Yes, it took a little (okay, a lot) of skimming to get here but it is worth it. You’ll see. 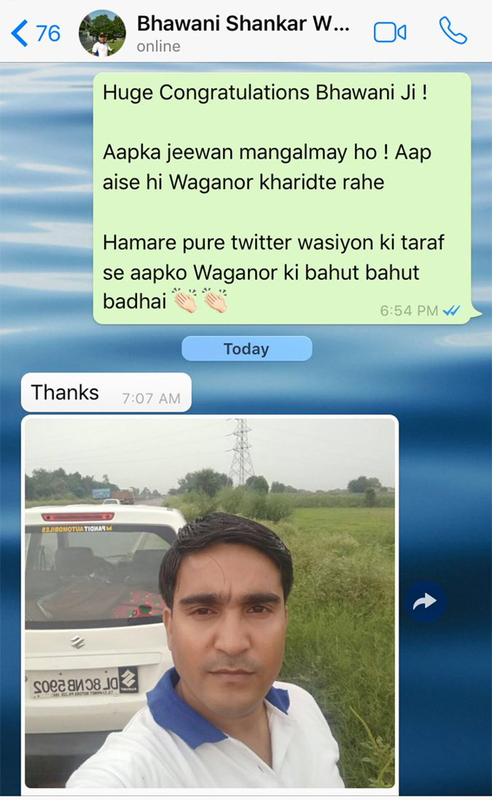 It so happened that a certain Bhawani Shankar bought a brand new WagonR car from his hard-earned money. How do I know that? Because he got it published in the newspaper, along with the vehicle and his phone number for anyone who’d be interested to wish him. If you think it was a no-show, you couldn’t be more wrong! …and that was enough to urge other tweeple to do their bit and spread the smile around. 1. One asked Bhwani ji to adapt safety measures. 2. ‘Dhoom machado,’ said another! 3. And thus began the silsila. 4. Isn’t it just lovely? 5. One of those unconditional things that lets one sleep well at night! 6. Believe it or not, the trend spread like wildfire. 7. And it was raining good wishes! 9. What did I tell ya? 10. On a completely different note, here is Bhawaniji’s Whatsapp status if you’d want to get inspired. I am in the business of news and believe me when I say that this story is by far my favourite. I don’t think I need to tell you more about the fiery milieu India has found herself in, but I certainly wanted to tell you about all the people who took time off their busy schedules just to wish a man good luck with his new car! If this isn’t humanity, what is really? Also, spread the smile, won’t you?